By Hans Schoots - Once, Erich Wichman (photo) and Joris Ivens were friends. Wichman was well known in the Netherlands as a flamboyant painter and sculptor and as the author of fascist pamphlets. Ivens gained fame as a filmmaker and a communist. But in the 1920s they met on a regular basis and in 1927-1928 they even started work on a film together, part of which was actually shot. The film disappeared and Ivens never mentioned it in his filmographies. For Ivensologists, Haffmans's most spectacular find was the scenario for a short film called either 'De zieke stad' ('The Sick City') or 'Het hart der zieke stad' ('The Heart of the Sick City'). This too is included in his book. Haffmans found three overlapping sections of this scenario: two in Dutch Wichman collections and one in the archives of arts patron M.R. Rademacher-Schorer. The three sections, handwritten by Wichman, can be dated between May 1927 and the fall of 1928. According to Wichman's manuscripts, Ivens and Wichman would play the lead roles themselves. Some elements of the scenario are familiar from Ivens's film Rain, but there are also surrealistic scenes that were obviously inspired by the French avant-garde films being shown at that time by the Dutch Filmliga, the organisation for the promotion of true cinematic art. An unusual idea was for Wichman and Ivens to film each other during a dialogue: one would hold the camera and the other would be in front of it, in a silent film that is. In Holland, a variation on this method is now used regularly by cameraman-director Frans Bromet, who interviews people with his eye on the viewfinder. De frivolity of the 'Sick City' scenario suggests that Wichman was its prime author. Ivens tended to be much more interested in the graphic and the rational. His oeuvre was hardly one of jokes. According to the scenario, the dynamic duo would wander through Amsterdam disapprovingly, pointing out signs of the city's imminent downfall, followed by cries of ‘Yuck!' Their aversion was directed against newly erected buildings like the Carlton Hotel on Vijzelstraat, the then city hall on Oudezijds Voorburgwal and Amsterdam University 's new library (now demolished). But they also condemned the monumental Tuschinski Cinema. A little later their conclusion would be, 'Yes, the city is sick, the city is rotten.' They ended their tour on Dam Square in the bar De Wildeman. The prologue of the film was to provide an ideological framework. Ivens would ask a musician to play a wake up call to mobilize the people, and Wichman would interject, 'Do you really believe you can wake them up that way?' Wichman would then hold up his favourite book, Voor afbraak (‘Demolish! '), by anti-democratic pamphleteer Robert Groeninx van Zoelen. Far from being a political programme, this publication consisted mainly of a series of complaints about the 'passive governing clique' and their 'passionless petit-bourgeois mentality', about 'democratism' and a society in which everything is 'flattened and rounded off' and where 'spirit' is lacking. All this amounts to 'the gangrene of national disintegration'. One ominous reference that was to be made in the film was a bottle with the word ‘Present!' on its label. ‘Present!' being the battle cry which the Dutch fascist movement used to open their meetings. ‘De zieke stad' clearly looked to the far right of the political spectrum for a solution to Amsterdam 's problems. Several sources confirm that the last part of 'De zieke stad' was shot. Shortly after Wichman's sudden death on 1 January 1929, one of his political friends wrote in a letter: 'A curious thing is that he also started on a fascist film, that is, he only finished the last part of it […] in which we see Wichman & co. drinking. For many it will be both moving and hilarious to see their old friend in his element on the silver screen. (Fortunately the film is in the hands of friends).' In an unpublished interview with political sympathisers of Wichman's, dated 1959, they recalled, 'Part of the film was indeed finished, shot by Joris Ivens, the filmmaker. Later, after he [Wichman] died, we saw the film again at a private screening.' Of course, 'in the hands of friends' meant that the film was safely in the hands of members of the fascist movement. Its present whereabouts are unknown. Young intellectuals and artists of the twenties admired Erich Wichman for his radical, flamboyant and individualistic lifestyle. His political views were taken as part of that whole. He was the bohemian artist pur sang: a dandy, but often living in poverty, original, enterprising, creative, uncompromisingly honest, 'alcoholic on principle', capricious and… explosive. When he was just ten years old, his Christmas list included an air gun with ammunition, a knife, the explosive picric acid and Meiers Handbuch der Explosivkörper und der Feuerwerker. Two years later the headmaster of the Utrecht Gymnasium complained to Wichman's mother about Erich coming to school with a loaded pistol. At university he became interested in the arts. In 1913 he had his first exhibition of paintings in Berlin and had already contributed articles to the famous German expressionist magazine Der Sturm and published several pamphlets on art. Wichman was a pioneer of abstract painting in the Netherlands. He and Theo van Doesburg were the founders of the group 'De anderen' ('The Others'), a forerunner of 'De Stijl', of which Piet Mondrian en Van Doesburg were the leading figures. In 1918 Wichman landed in jail for three days after protesting against universal suffrage. Three years later he carried out his first major political stunt. To demonstrate the fraudulence of democracy, he founded the Rapaille Partij ('Rabble Party'), announced that the vagabond Hadjememaar (literally: 'if only you had me') was the party leader, and demanded free fishing in the Amsterdam Vondelpark and a maximum price of 5 cents a shot for gin. He won two seats on the Amsterdam city council and considered this as proof of his view that democracy was nonsense. Another initiator of the Rabble Party was the sculptor Jan Havermans. With Wichman, the painter Charley Toorop and several other artists who later turned to the left, he lived in the artists house Meerhuizen on Amsteldijk. Later Havermans moved to Amstel 190, where Joris Ivens also lived. Left and right mixed as a matter of course. Wichman and his friends travelled a lot. They met in Berlin, Vienna and Paris. But while Ivens, the son of a wealthy father, could fly to Paris with KLM, an unheard of luxury at the time, Wichman lived the low life, staying in a former outdoor toilet at the back of a hotel near Gare du Montparnasse. A journey to Italy, where Mussolini was already in power, convinced him of the need for a more flamboyant Dutch fascism. His kindred spirits at home, minor aristocrats and established bourgeois figures, were too tame for his liking. As Haffmans's book shows, he nevertheless upheld an extensive correspondence with leading Dutch fascists like Wouter Lutkie and Hugo Sinclair de Rochemont. He laid down his own views in 1925 in his pamphlet Het fascisme in Nederland ('Fascism in the Netherlands'). In this short book, he explained that democracy is the worst possible political system because it isn't based on heroism. 'The best guarantee for the quality of a government is that it arises from – don't be shocked – violence… Violence at least supposes courage and the readiness to make sacrifices.' All this was no hindrance for excellent relationships with the editors of influential literary magazines like De Gemeenschap and De Vrije Bladen. In 1928 Wichman's humble political career reached its zenith, when he became the leading author of the fascist magazine De Bezem ('The Broom'). At the time, he was also fond of organising anti-socialist provocations, like throwing stink bombs into cinemas where the Soviet film Mother was being shown. For Dutch artists and intellectuals, the twenties were a time of innocence. In hindsight we can now say that it was the time 'before the flood', the flood being the holocaust, the Second World War and Stalinism. There was a lot of debate on the future of the world and of mankind, but most of it had no practical consequences. Wichman was one of the few who turned to activism at an early stage. The fascist and semi-fascist groups in the Netherlands of the 1920s were not inspired by Adolf Hitler but by the Italian leader Benito Mussolini. They were not driven by anti-Semitism, but by the wish to establish a new, authoritarian state where original minds would reign. They felt disdain for democratic mass society, which would, in their view, only lead to greyness, superficiality and levelling. And artists had noticed that Mussolini stimulated modern art. Filippo Marinetti, the leader of the futurist art movement, and the Italian Duce were of like mind concerning the ideal of living dangerously. The collaboration between Erich Wichman and Joris Ivens was less surprising at the time than it seems now. The two men knew each other from Berlin, having both spent time there in the early twenties. Marsman and the anarchist Arthur Lehning had been in Berlin as well, and also belonged to their circle of friends. Haffmans's book shows that contacts between Ivens and Wichman remained intense during the rest of the twenties. Perhaps the funeral of Wichman on 4 January 1929 at the cemetery Zorgvlied in Amsterdam can be seen as the end of this era of innocence. Prominent fascists attended the funeral, along with leftists like Ivens, Lehning and Charley Toorop. At the same time, both left and right had begun improving their organisations, and contacts between the two would soon become impossible. In his last days Wichman had become immersed in his work for De Bezem, whereas Ivens had become a member of the Netherlands-New Russia Society and the Society for Popular Culture (VVVC), both connected to the Communist Party. During the following year, Ivens made his film De nood in de Drentsche venen ('Poverty in the Bogs of Drenthe') for the VVVC and International Red Aid, an organisation of the Communist International. At the start of 1930 he made his first trip to the Soviet Union, and in the following year he became a party member. Ivens's friendship with Wichman sheds new light on his way of thinking in the twenties. When he studied in Berlin at the beginning of the decade, he was impressed by the activities of the German Communist Party. He served as a messenger, transporting illegal films for the – then forbidden – party. But his contacts with the Party ceased after his return to the Netherlands in 1924. He later explained that, in those days, communism had only seemed useful for countries like Germany that were in crisis. He did not yet see advantages in it for France or the Netherlands. In the Netherlands he returned to a much more open political position. Arthur Lehning's anarchism, Erich Wichman's fascism and the socialism and communism of others seemed to have a common denominator in an anti-bourgeois mentality. The differences seemed less important than what they had in common. As a result, Ivens had a wide range of contacts. First of all he was undoubtedly influenced by his girlfriend, German photographer Germaine Krull, who was a radical socialist, but also an anti-communist, who had spent some time in a Moscow prison during the Lenin years. 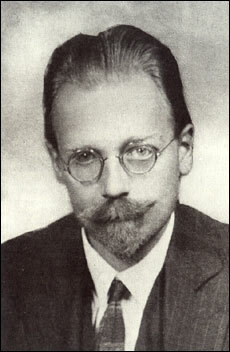 With Arthur Lehning, he planned an anarchist-expressionist magazine, although Internationale Revue i10 was finally launched by Lehning alone. Ivens then collaborated on the slightly political fiction film Branding with left-wing social democrat Jef Last. And, as we have seen, he worked with fascist Erich Wichman as well. At the time Ivens had not yet become a well-known artist. When his first short film De brug ('The Bridge') was shown on 5 May 1928 , it took his acquaintances by surprise. Wichman, on the other hand, had been a public figure for years. In 1927-1928 Ivens probably considered it an honour to work with the charismatic Wichman. And were they not both – inspired by the vitalistic poetry of their mutual friend Hendrik Marsman – aspiring to live dangerously? We can conclude that Joris Ivens's definitive embrace of communism around 1929 was anything but predestined. An element that may have been decisive was the political convictions of his new girlfriend, the painter Anneke van der Feer. With her he took the road to a communist future. © Hans Schoots. Translation and revision of an article in the Dutch weekly Vrij Nederland. F.J. Haffmans (ed. ), Geest, koolzuur en zijk. Briefwisseling van Erich Wichman. Van Gruting Publishers, Westervoort, 1999. ISBN: 90-75879-05-9.